I have been reflecting on this topic for some time. Recently I gave two papers at the ‘Welcome To Amateur Radio Symposium’ held on the 3rd November 2014. This event was sponsored by the Adelaide Hills Amateur Radio Society Inc., and was organised by VK5PAS, Paul, and has been described elsewhere. Mentoring has been part of amateur radio since its beginning. The Macquarie Dictionary (Australian) provides two definitions on the word mentor. The first is a ‘wise and trusted counsellor’ and Mentor (capitalised M) ‘the friend to whom Odysseus, when departing for Troy, gave the charge of his household’. Both of these definitions suggest that a mentor is a very special person, with whom the person being mentored, has a unique and trusting relationship’. The only aspect of the Dictionary definition which encompasses the idea of training, is an addition to the first definition where a mentor is ‘someone who trains dogs for racing’. It is clear that the word ‘mentor’ has a wider meaning in every day language. It occurs not infrequently in management literature, in the press and as a synonym for a special type of supervision, usually in one-to-one relationships designed to encourage reflective behaviour in trainee and newly graduated human service professionals amongst others. Amateurs mentioned in my blog, now deceased, were some of my early mentors, see About. This chap needs a mentor! 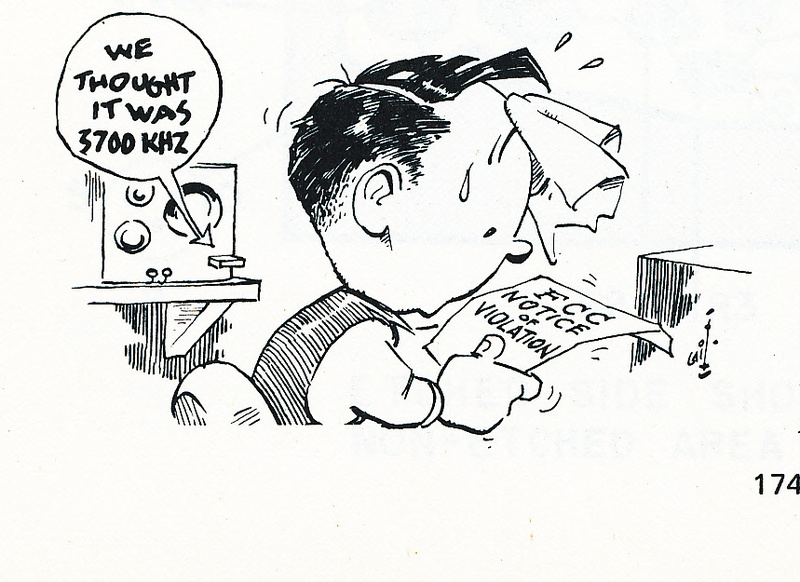 Picture taken from George Grammer, 1971, Understanding Amateur Radio, ARRL, Newington, CT. My caption. http://www.skccgroup.com/member_services/morse_elmers/ (accessed 19th December 2014). I am not recommending the use of the US term in Australia even though it was mentioned by one of the presenters at the Symposium. I think we should develop our own traditions! Perhaps we can all be mentors? Of course you can be a mentor and be mentored. None of us should be too proud to acknowledge out debt to other amateurs. Barry, VK5BW, assisted me with my oscillosope images used in my first presentation and more recently with some repairs to my HF Linear. While I diagnosed the problem I wasn’t prepared to take the soldering iron to the job! Over the last few years some amateurs in the AHARS and elsewhere have approached me to assist in programming their 2m/70cm FM/Dstar radios. I am always pleased to assist. As I was preparing some notes for this post last evening my mobile rang and a member of AHARS was seeking advice on his mobile installation and DStar programming. I am not too sure how I developed this reputation but I have talked a few few though the ‘mysteries’ of Dstar on air and in person. So getting back to the Symposium, what did I speak about? The first paper was called Making a Successful (and legal) QSO. Here I dealt with call signs, speaking clearly and the use of phonetics, frequency of identification, on-air manners and the nature and content of a QSO. My second paper was called Simple and Effective Antennas for Amateur Radio Operators. After providing a definition of an antenna I covered resonant and non-resonant antennas, balanced versus unbalanced antennas, directivity, polarisation, antenna couplers and basic constructional techniques. Both discussions were aimed at newcomers. Finally, it was interesting to note that the Symposium was attended by a number of new amateurs, at least one aspiring future amateur I spoke with, and surprisingly quite a few ‘senior’ amateurs, which perhaps illustrates my point that we can be both mentors and be mentored.